Courtney is back from her pregnancy hiatus and blog maternity is over! She is ready to share her favorite workout gear! This little paragraph really hit home to me. We all know how important our clothing and gear is for race day – but what about all those training runs and hours spent in the gym and studio getting ready for the BIG day? Suddenly I don’t feel so bad about spending money on workout clothes and equipment (and neither should you). I’m not saying go crazy and max out your credit card – BUT – I do believe that some quality pieces will help boost your performance. With that in mind, here are some great pieces that I own and LOVE! (And just so it’s clear, I am not getting any kickbacks from these brands; however, if anyone from Athleta is reading this, I LOVE your clothes and would be willing to rate EVERYTHING in your magazine if you send me some clothes*wink*). 1. Athleta’s Relay Capri – Your best friend for a long run. No chafing with this pair – stays in place with a thick waist band that slims and slenderizes. No prints or anything fancy – just a good ole capri who will never let you down. 2. 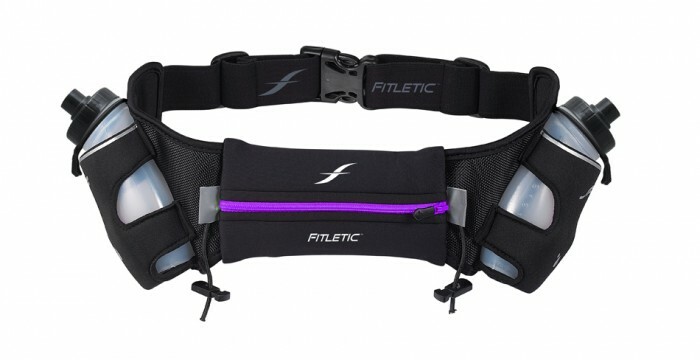 Fitletic Hydration Belt – This item is a MUST for those hot summer runs. This belt holds 12 ounces of fluids; has a pocket you can use for keys, phones, money, etc; has places to stash your GUs/endurance Gels; and race bib toggles. You can read the full specs of the website – so I won’t list all the cool features – but the best part (drumroll please…) this belt is comfortable and stays in place! I have trained for 3 marathons and several more half marathons and I really do not know what I would do without this belt. 3. iTunes/Music – What does every person who goes for a long run by themselves need? Music! Unless of course you are one of those semi-crazy people who can go out for a four hour run and just be one with nature. I, for one, am incapable of spending more than 45 mins without some jams so I spend on average about $100 a year on iTunes. I guess that’s why my music library has over 2,000 songs. 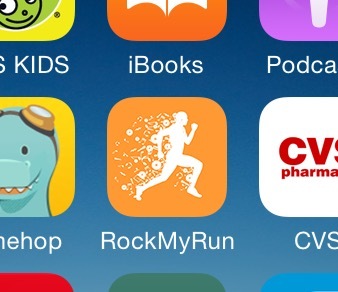 But, good news, now there is an awesome app called “Rock my Run” that has some free downloads and it so awesome. If you love djs spinning some good jams categorized by genre and BPM, then this is an app for you. 4. Jillian Michaels Workout DVDs Where should I start…. My love for Jillian Michaels runs deep. She is after all “America’s Toughest Trainer”. As a fitness instructor, I find her completely motivating and uplifting (while not being cheesy which can be hard to do) and her workouts are ridiculously hard, which is totally my style. And, not gonna lie, I do steal a few of her moves for my classes. I do give her full credit though. A few of my favorite titles include any of the Shred workouts, Yoga Meltdown, and Six Week Six Pack. Plus, you always need a few good workout DVDs on standby in the event there is a major weather event and you are stuck in the house for an extended period of time. 5. Athleta’s Chatarunga yoga tight – There are so many colors and prints to choose from. Athleta also carries special sizes for tall, petite – and get this… they even have Maternity now! Chat tights (as I lovingly refer to them) are amazing. Super soft tights, with enough material you feel secure sauntering around town after your yoga class – no sheerness here. Chat tights also have a wide waistband which banishes muffin top. Trust me, I just had a baby and if it wasn’t for all the baby spit-up and pee I live in nowadays I would NEVER take these tights off. I know the price point might be somewhat of a turnoff – however a few things to keep in mind. #1 They are still cheaper than Lululemon yoga pants. #2 With Athleta ‘s “Try it, then buy it” philosophy, you really can’t lose. If you order them and hate them (which will not happen, trust me) – simply mail back the tights for free! That’s right, free shipping both ways for orders over $50. 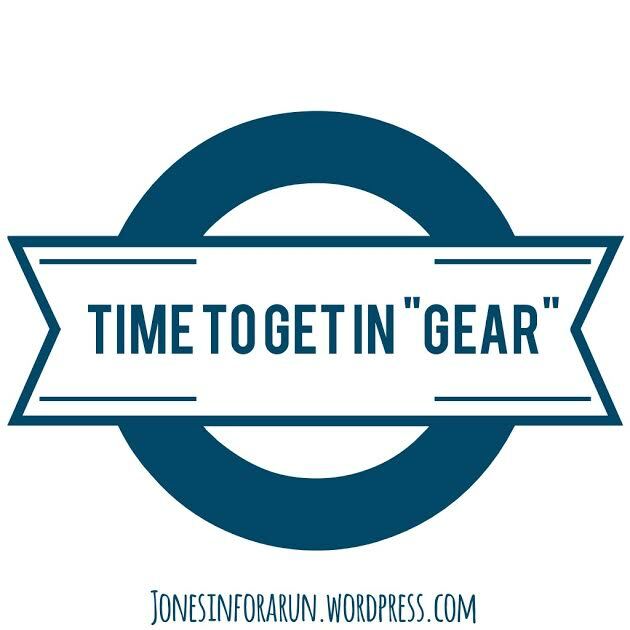 So what gear do you love and can’t live without? I am always looking for new products/brands that I have never heard of before? Now if you will excuse me, I need to do a little online shopping. I see that Jillian has a new DVD out, Yoga Inferno….